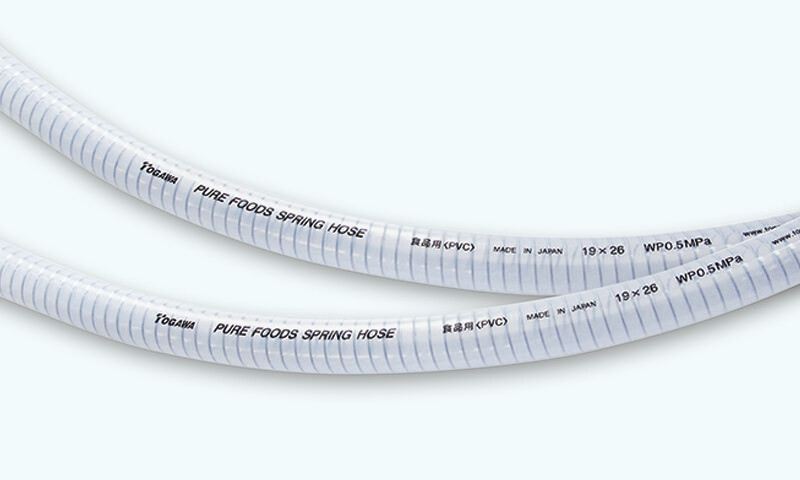 Pure Foods Spring Hose(JHP) – We are a trading company of industrial products. A safe hose conforming to the JHP specifications (refer to P.9) without harmful substances contained. Based on the food sanitation law, the specifications define the recommended materials, unintended materials for use, and the methods of material and dissolve tests. The display of JHP logo is allowed for the products approved by the association. Pure Foods Spring Hose does not contain any phthalate acid, which is registered with the JHP specifications and allowed to display the logo.